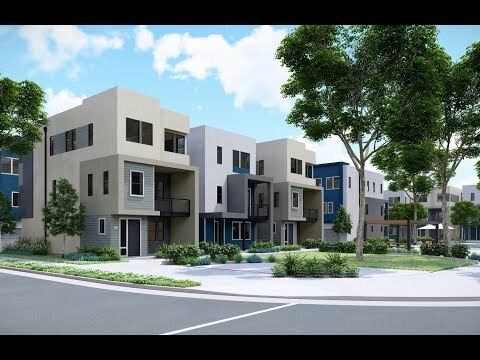 Time-saving conveniences abound with contemporary and low-maintenance townhomes at The Rows at UrbanOak, boasting convenient proximity to the Santa Teresa VTA Station and Blossom Hill Caltrain Station. Hurried executives can unwind in this walkable, amenity-rich neighborhood with natural beauty, outdoor recreation, chic retail and daily conveniences for which the Cottle Transit Village is sought. The life you want to live is waiting for you at The Rows at UrbanOak. Explore this community and see for yourself. This two-bedroom Plan 1 suits singles pursuing their careers. A mid level gathering room offers an ideal environment to catch up. Versatility increases with space in this three-bedroom Plan 2 with a first floor bedroom and conversation-centered second level. This largest four-bedroom Plan 3 is an entertainer’s favorite. Dual decks anchor the mid level’s shared living areas.